My name is Ridouan Bouzrou, also known as ioStux. I am a 19 year old private Overwatch Coach who has worked with low and high tier players alike, building a reputation as the most well regarded private Coach in the scene. I pursue the dream of analyzing/coaching a high tier team and pushing it to the top and not one step below. I am extremely dedicated, competitive and understand how to convey information in an understandable manner without leaving out crucial details. I have put as much time into learning Overwatch as I did discovering the most effective ways of pushing players to be their best, in and outside of the game. People I have worked with have described me as dedicated, easy to talk to, analytical, reliable, responsible, friendly and punctual. Incredibly dedicated work ethic, coached North American team between 2am-8am in Germany. Finding the right amount of challenge to push players to their limits. I started coaching casually back in 2014 when I was working with "Phoenix Rising", a German League of Legends team. With them I took my first steps into coaching players, analyzing gameplay and delivering that information in a way that is both in-depth but easy to understand. Eventually, Overwatch was announced and it hooked me. The mix of FPS and MOBA like elements was intriguing, motivating me to analyze the game. Before the game's launch, I joined "Tactical Gaming"; a small organization that provided a structure to build teams and scrim early on. My dedication didn't go unnoticed, as I eventually got into a Captain position for "Paragon", one of its teams. I acted as the Head Coach/Analyst for that team and learned a lot about how Overwatch worked. Concepts like Ult Management, Diving/Turtling or Call Hierarchies became second nature as the rest of the player base was spending time in Quickplay, due to competitive play not being out yet. After reaching Rank 71 in Season 1, 3.8k in Season 2 and then 4.0k in Season 3, I decided to pursue Coaching full time. Following this decision I took a break from college as I was currently studying for my Bachelors Degree in Computer Science. "ioStux Overwatch Coaching", my Youtube channel was opened and I started uploading educational Content to work on my presentation and offer a source of information to the Overwatch Community that wasn't focussed more on ad revenue than actually helping the player base. As my work grew in popularity, viewers of my content suggested I should start a coaching business. In September of 2016, my Patreon opened, offering high-quality coaching at a price that more so limited demand than it provided me with a secure income. Eventually I moved onto a third party platform called "sandbox.gg" and after a few months with them I left and opened my own website "ioStux.com" in September 2017, one year after I started educating players. Over the past few months, the popularity of my services has grown rapidly, forcing me to open up more coaching slots daily and raising prices in order to stem the increasing demand. To this day I have coached over 400 individual Players, with some of them reaching the Top 10 of their respective regions competitive ladder. Summer 2017 came around and with it the decision to build on my team coaching skills, presenting myself to different teams. The 6 teams that trialed me were impressed by the brutally honest and straightforward approach which I had shown in my written analysis of their scrimmages. In the end I could only choose one of them, so I decided to choose "Lucker Dogs", a team consisting of both American and Canadian players who have all reached the top 100 on the North American ladder and consistently maintained their standing within the Top 500. Working with Lucker Dogs forced me to adapt my daily schedule, as their practice was between 2am-8am my time. I spent my time coaching individual players during the evening, and Lucker Dogs during the night. My coaching arsenal grew drastically during this time. I learned about managing player relationships, reading their personality and adapting my coaching strategy based on that. About analyzing our competition and how to learn from teams that were superior to us. Theory sessions, individual player sessions, and even fully recorded and edited VoD reviews for the players were produced outside of practice hours to ensure that they would always know what to work on and what they don't have to worry about. My initial struggles of dealing with the stress and pressure of coaching high tier players made me more resilient. This allows me to remain calm and think clearly in tense situations. Lucker Dogs was my home for months, winning the AG Weekly tournament and several Open Matches until we were approached by multiple organizations. 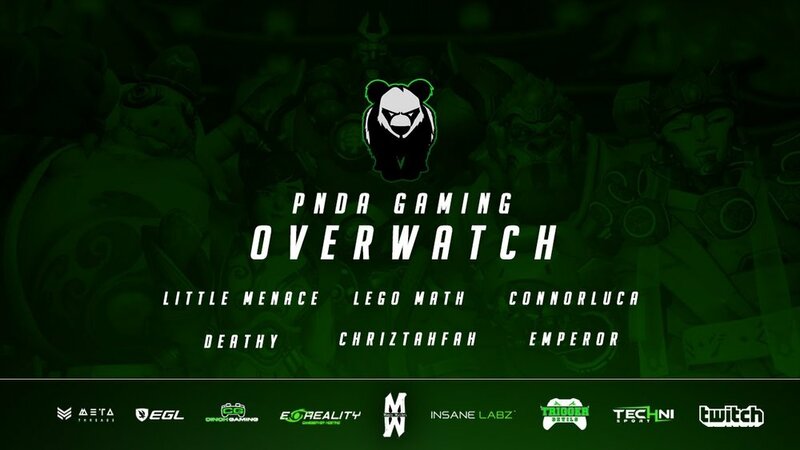 Eventually, we decided to sign with "PNDA Gaming", a North American e-sports corporation. Our roster continued playing scrimmages, practicing and participating in tournaments, while I analyzed, coached and stayed up all night making sure the team would perform up to my standards. I had to bench players and trial new ones. Difficult decisions had to be made but my focus on the team's success took priority over the feelings of underperforming players. After some of the most fondly remembered months of my young life we decided to part ways, as personal issues forced several players to lay down their pursuit of playing Overwatch professionally. I kept on coaching individual players, preparing for the imminent launch of my website and taking care of my fanbase. All of this leads me to where I am today. This past year has taught me a lot about what it means to be a coach. It made me discover the intricacies of the game, learn about the inner workings of the human mind, and conclude that no sacrifice is big enough to stop me from pursuing my dream of coaching a team in the Overwatch League.